Jump to video What's behind the mean tornado season? 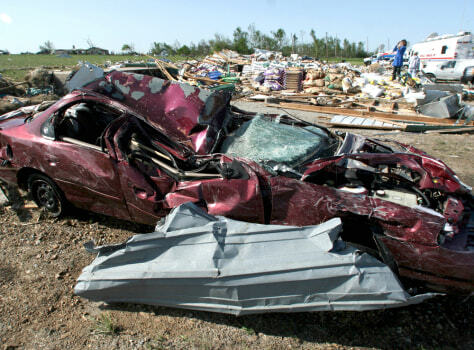 Weather experts say motorists should not stay in cars during a tornado. Instead, they should find a sturdy shelter or lie flat in a ditch or other low spot, covering their heads with arms, coats or blankets if the tornado is moving in their direction.